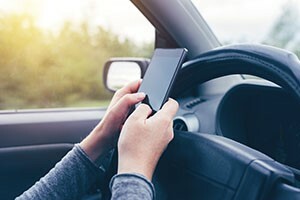 The United States Department of Transportation (USDOT) and National Highway Traffic Safety Administration (NHSTA) designate the month of April as Distracted Driving Awareness Month. The National Safety Council (NSC) reports that every day at least 9 Americans die and 100 are injured in distracted driving crashes. To raise safe driving awareness, the National Safety Council has launched a social media campaign using the hashtag #JustDrive. They are providing a social media kit to help spread the word on the damages of distracted driving. Along with the social media campaign, the NSC is also conducting a free webinar titled “You’re Not As Safe As You Think You Are” at 12 P.M. (EST) on Tuesday, April 23rd. This webinar will discuss the risks associated with distracted driving. You can register for the free webinar here.